Converting land currently used for grazing and growing animal feed crops back to forest could soak up 12 years’ carbon emissions, found the report. It was launched at the Grow Green Conference in the British Library on 11 April. ‘It’s essential for the UK to have a Paris-compliant food system and right now it’s far from that. ‘Our research shows for the first time that it’s possible – and could deliver multiple benefits to the UK population, including more provisions of healthy food, and more forest areas for recreation. British lead author Dr Harwatt, from Harvard University, said importing 90% of its fruit and vegetables puts the UK in an increasingly precarious position in light of climate change impacts and shifts in international trade, especially while Brexit looms large. Almost half of all land in the UK is currently used for farming animals and repurposing it represents a good opportunity in meeting climate goals, as it provides very little nutrition compared with the resource inputs involved. The UK is not on track to meet its legally binding commitment to reducing greenhouse gas emissions by 80% by 2050, and even further reductions would be required to align with the 1.5°C goal of the Paris Agreement. ‘The UK is well suited to growing forest as a natural climate solution. 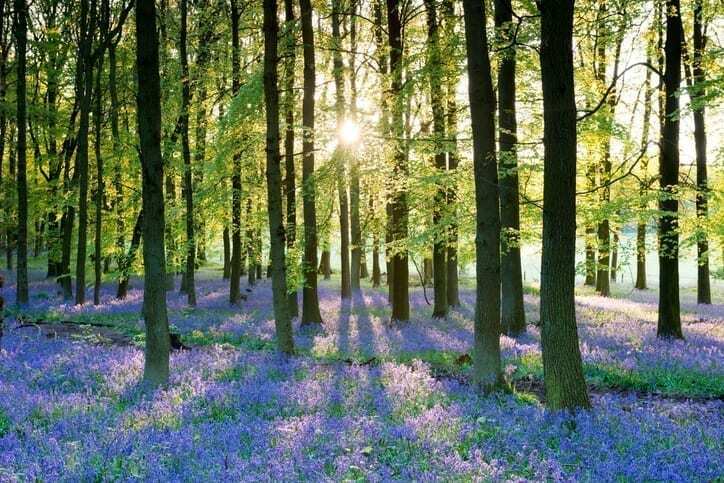 Hundreds of years ago, forests covered the UK as its natural land cover. ‘Most grazing occurs on pastures that would return to forests if left untouched by humans and farm animals. ‘Forests not only pull carbon dioxide from the atmosphere, but also provide a range of co-benefits such as water filtration, flood defense and greater soil carbon capture – which will all become even more important as the impacts of climate change increase. ‘It’s important for any large-scale land use changes to address potential trade-offs – such as economic livelihoods, which must be protected. The second scenario trades off some of the CO2 removal and keeps croplands in production, to allow for an increased and diversified supply of fruits, vegetables, nuts, seeds, grains and pulses to the UK population. This removes CO2 equal to nine years of the UK’s current emissions. Scenario two maximises the opportunity to produce more fruits, vegetables and pulses, to help meet changing consumer demands for more plant-based foods, and help address the mass under-consumption of the five-a-day fruit and vegetables recommendation. Click here to find out why Soil Association’s Helen Browning advocates a return to agroforestry.